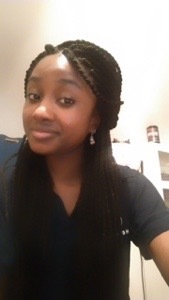 Second guest slot on our blog is from MChem student Lorraine Amponsah who is currently on placement with BMW. Here she tells us how her studies at Brighton have helped her during her placement. It has to be agreed that the University of Brighton’s unique selling point is its emphasis on the practical and analytical aspects of Chemistry – putting it simply: the course provides you with the skills and knowledge “that matter”, and are necessary for employment within the chemical industries. In many ways, my placement at the BMW Hams Halls Laboratory, as a Chemist, has consolidated much of the theory knowledge and practical skills that I acquired during the course of my degree. On enrolling on MChem Chemistry, I was given the option to select either Biochemistry or Geochemistry as the theme to which would underpin my degree. Opting for the latter resulted in me undertaking the 2nd year module “Soil and Water Analysis”. Admittedly, at the time I struggled to understand the significance of water testing methods – “soil and water”, and “chemistry”? What was the correlation? Excessive rainfall increases the risk of stored diesel, petrol and glycol leaching into the ground waters, and the surrounding environment; as such, BMW Chemists regularly carry COD (chemical oxygen demand) tests on site-water samples and trade effluent samples – the very same technique I had been introduced to during my “Soil and Water Analysis” laboratory sessions at university. My efforts in completing the ‘Analytical Chemistry’ assignments have paid off in untold amounts. My sound understanding of validation parameters (reliability, precision, accuracy, specificity, ruggedness etc.) – gained as a result of the assigned ‘Validation Proposal’ analytical project – enabled me to strategically plan, and execute a series of laboratory experiments which resulted in the development of an alternative, more cost effective method of determining ‘oil content in machining coolants’ – a method soon to be shared with the BMW Chemistry teams in Germany, China, South Africa and the USA. ​It wasn’t so long ago that I and my classmates nervously tried our hand at analysing the calcium content of ‘infant formula’ by MP-AES, supervised by a chemistry demonstrator; but now, 12 months on, I can independently, and confidently analyse waste water samples for dissolved metals, using that very same analytical instrument! There is the unfortunate scenario, that on testing, an engine malfunctions and explodes – and what a sight it is! On being provided with a sample of oil extracted from the engine, it is my job as a chemist to play “detective”. Using gravimetric analysis (as taught in first year) I am first able to ‘reveal’ any contaminants collected on the filter paper, and it is then through the employment of FTIR analysis that I am able identify the contaminant based on its produced spectra (an extension of the Physical Chemistry practical undertaken in 2nd year). I could draw many parallels between chemistry course material, and real-world industry, but I’m sure you get the picture! Now aware of the industrial-relevance of my course, I’ll return to complete my undergraduate studies with more focus and a greater sense of direction, safe within the knowledge that whichever chemical field I eventually choose to pursue – be it in automotive manufacture, oil & gas or materials research – my Chemistry degree at Brighton will have provided me with the skills necessary for me to excel.